Coaching can be described by an attitude and approach to helping someone move towards their goals and improve their level of performance. Instructors, teachers, managers and leaders commonly use a coaching approach in their daily interactions. Do you want improved skills for coaching others? Do you want solutions that help people use their strengths more widely? Do you want to help others change their performance level? Have responsibility for developing others in their work role as a director, manager, supervisor or team leader. Want to focus on developing their practical skills and not have to complete research, essays or records. ​​If you are a professional who wants to empower, encourage, and develop those you work with this course can benefit you. Reminded and refreshed ideas, tools and approaches I’d learnt in the past.Several days spent in positive, inspiring and empowered state. For all successful participants the full course provides 38 hours of coach specific training that can be used in support of an application for accreditation with the ICF, AfC or EMCC. 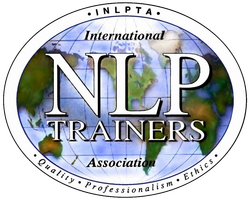 Each person successfully completing the training will be entitled to receive an INLPTA Diploma in NLP Coaching. For those who have completed a NLP Practitioner Course they will be awarded an INLPTA Coach Practitioner on successful completion of this course. The difference for me is: I believe I can start doing this now. It's not important that I can do it all perfectly, what's important is that I start doing it with the intention of helping someone to move to where they want to be and to trust the process. Quick update - the career coaching has gone rather well and has moved into unexpected territory, as so often happens. Now that we have had three sessions I am now working with the Executive Board. I just wanted to drop you a line to say ‘thank you’ for the Coaching Course. I was really glad I chose to do this with yourself. The generosity, authenticity and knowledge you bring gives any training you deliver a special and now familiar quality. I feel privileged to be part of such a group. The real reason for getting in touch is to say that since we (Preston City Council) started investigating and using NLP with coaching skills in 2014, the number of poorly performing businesses has now dropped by half. The next training is 12/13 and 16/17 May 2016. Copy of Neals new book - "Changing Performance Through Coaching"
Individual price dropped. Organisational price dropped. You can now book each module independently. Please give me a call or email neal@valleytraining.co.uk with any questions or to set up a talk with a previous participant on this course.